‘Woundlicking’ is the closing track on the EP and the first instrumental song I’ve ever released. Every song has a different way of coming into being and for ‘Woundlicking’, the seed was the harp. I was watching a movie at home one evening (I wish I’d written down what movie it was but my guess is that it was a documentary, I watch many of those) and somewhere during the film a tidbit of music, featuring a harp, was layered in. It was a brief and fleeting moment in the film, but it got my wheels turning. I decided to sit down at the computer (I wrote all the music for this EP using my laptop and MIDI keyboard) to play around with harp sounds in Logic. I finally settled on a looped harp of a few plucked notes. I’m a big fan of repetition in music and I’ve come to realize that many of my favorite songs by other artists are very repetitive, settling on a groove and sticking with it, almost like a mantra. ‘Born Under Punches’ by Talking Heads with Tina Weymouth’s unrelenting bass line throughout, or ‘All My Friends’ by LCD Soundsystem with its ceaseless piano, or ‘A Forest’ by The Cure that locks into a groove and never lets go, or ‘Rose Quartz’ by Toro y Moi that feels like a warm wave that you’ll happily sail off on into the sunset - they’re all deliciously repetitive. Using my harp loop as the skeleton, I added a beat and began layering in other sounds, building the song out bit by bit. I quickly came to feel like this was an instrumental track, it didn’t call for my vocals. But maybe it called for something else? As I’ve mentioned in other pieces of writing about this EP, I was strongly influenced by the Fluxus art movement of the 1960’s and 70’s while writing these four songs. 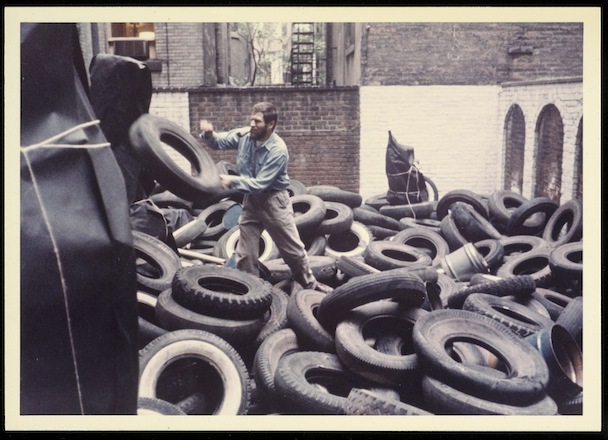 One of the founding members of the Fluxus movement was Allan Kaprow. He was born in New Jersey in 1927 and had an inspiring career in the arts as a painter, assemblagist, teacher and pioneer of performance art (he referred to these early performances as “Happenings”). Allan passed away in California in 2006 at the age of 78, but his legacy certainly lives on. 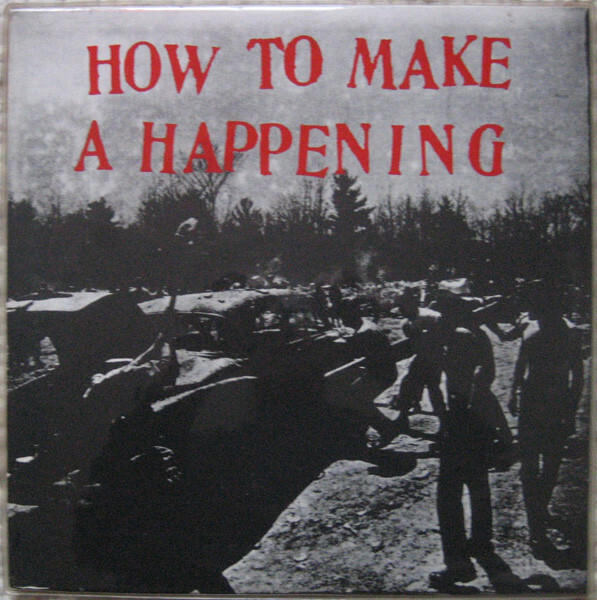 I came upon a recording of his 1966 lecture ‘How to Make a Happening’ in which he, with both sincerity and humor, details a step-by-step method on how to create this type of performance. I was smitten with the recording and got the idea of using a little snippet of Allan’s voice on ‘Woundlicking’. After quite a bit of research and many emails, I found who I needed to speak with to get permission. In some cases, the dream ends there - but not this time. My project and idea were received with the utmost kindness and generosity, I was touched. I feel very honored to have been granted permission by the Allan Kaprow Estate and Hauser & Wirth to use the snippet of Allan’s voice in my song. Listen for him in the breakdown around 01:35. Can you hear what he’s saying? “Make it unsure even to yourself if the happening is life or art”. Listen to 'Woundlicking' in its entirety on Spotify, Bandcamp, or any of the other streaming platforms. Or check it out below.